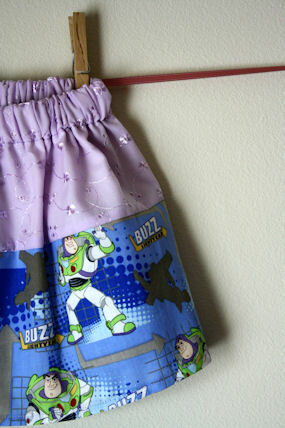 The Buzz Skirt : What a Crazy, Random Happenstance! 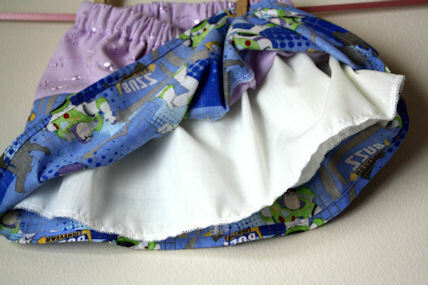 For those of you who know Little Miss, you know she is a Buzz Lightyear fan. And when I say fan, I mean fanatic. 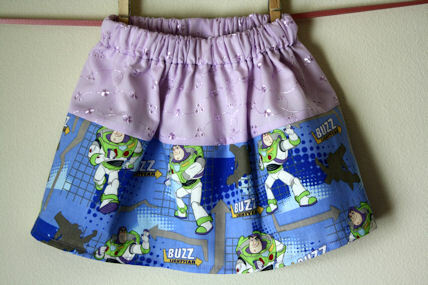 Sad to say though it’s hard to find anything with Buzz on it for little girl. So one day when we were at JoAnn’s (LOVE that place!) I saw that character fabric was 50% off so I let her pick out a Buzz that she liked. A few weeks ago I FINALLY made it into something for her. She absolutely loves it. Look! I added an underskirt. To see pictures of Little Miss in action. Please visit The World of L & K.
I am a stay at home mom of 2 girls, Boo and Little Miss. They keep me very busy but I still have to keep the household running! I love to cook, especially baking. My main hobbies are reading, photography, music and writing. I also like knitting and am teaching myself crochet. I also work part time at the girls pre-school. 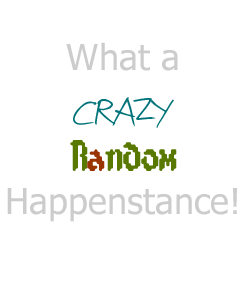 Copyright © 2019 What a Crazy, Random Happenstance! - Geek, mother, wife, daughter, me.